And just like that Rayce drops another banger right into our laps. The ‘Jack Sparrow’ singer unveils a creative video to his new single ‘Just Like That’ directed by Aje Filmworks. Clearly a lot of thought was put into the making of this video - which we can see. Rayce doesn't shy away from the camera in the new video to ‘Just Like That’ - his spanking new single of the moment, a song that without hesitation will get you raving instantly. Time after time Rayce has proved that he is not one to be slept on, but one to be reckoned with. 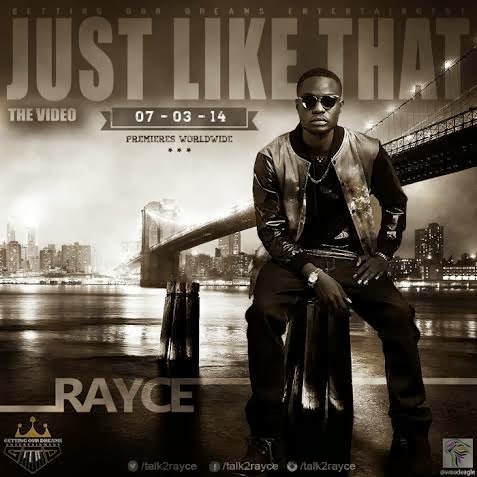 Revel in Rayce's creativity in his new video to ‘Just Like That’ below.